The time had come yet again to choose a new set of headphones. For some reason my house seems to be ergonomically designed to snag on my head phone cable at any given opportunity. The Wood look interesting especially given the eco-credentials at a pocket friendly price point. 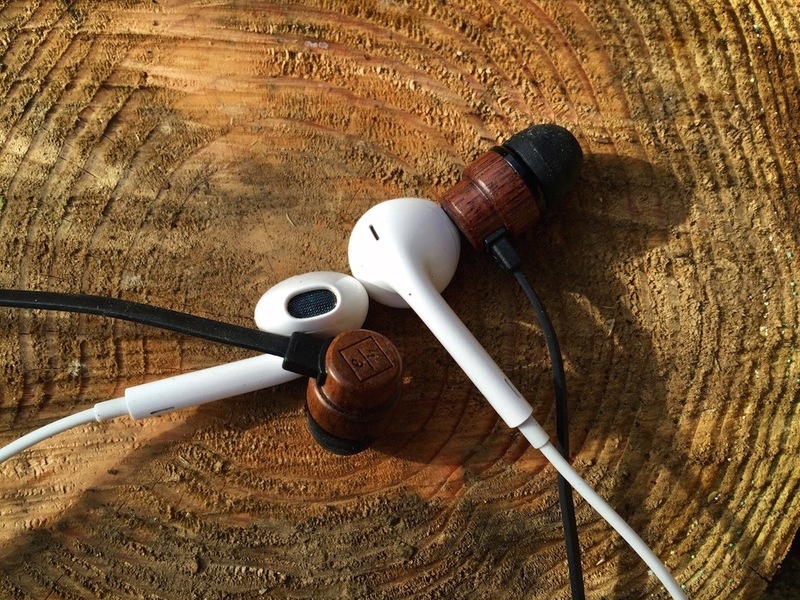 So can a set of headphones made from wood be any good? Of course any set of headphones at this price point is obviously going up against those supplied by Apple. The apple ones are okay but the durability is questionable especially the cap which goes around the headphone jack wearing out more than it should do. Not to mention those white earphones aren’t exactly comfortable for extended periods of time. 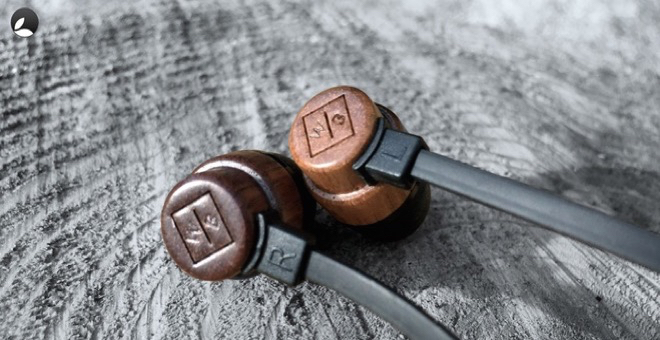 Right away I don’t mind telling you I’ve worn these WoodBuds for perhaps an unhealthy amount of time due to just how darn comfortable they are. We donate 1% of our sales to a network of environmental organisations worldwide and plant a tree for every 100 products we sell. It feels good. 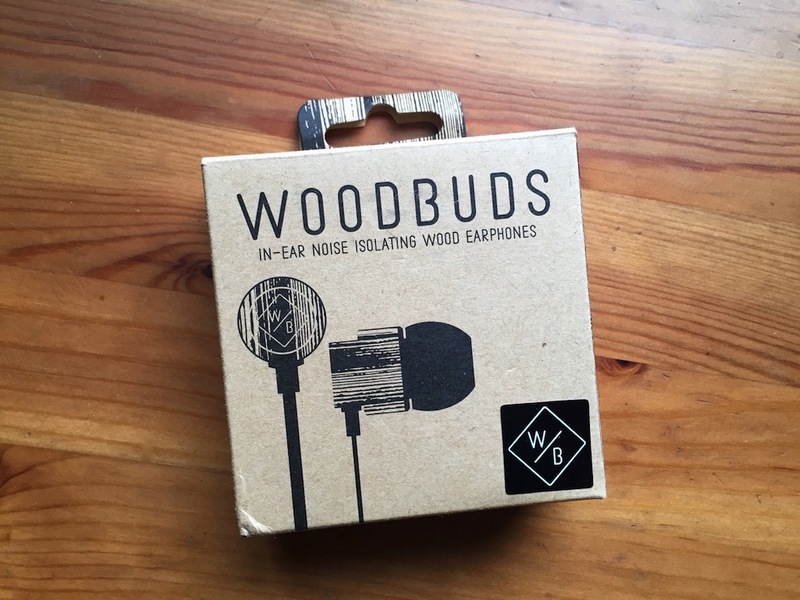 The WoodBuds website opens with “designed to make a difference and really encourages to get more involved with the feel and nature of the product than just trying to sell you something. 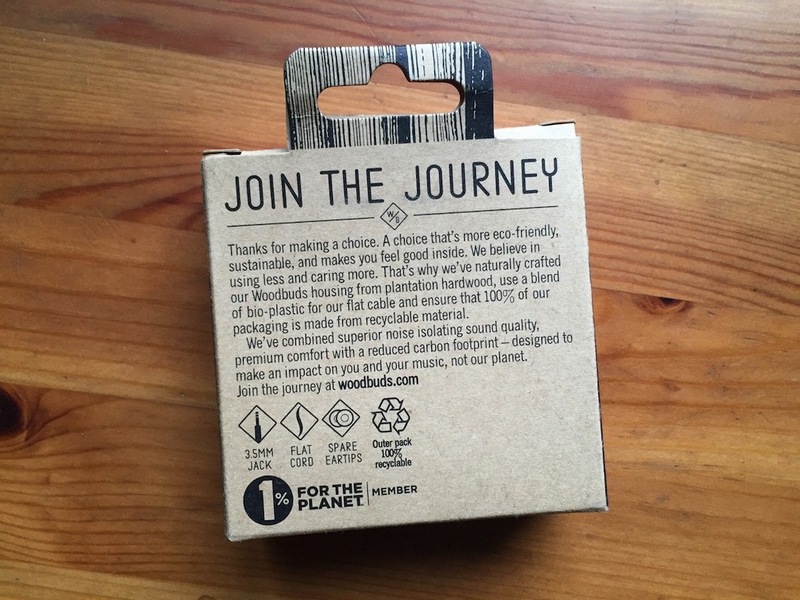 looking at the packaging which is 100% is made from recyclable materials including the inner plastic which holds the headphones in place, they also Plant one tree for every 100 WoodBuds sold. You start to get a feel that a lot of time and effort had gone into working out the best way to create eco-friendly packaging that also doesn’t look half bad. It almost makes me wonder why they used a jiffy bag to ship in. 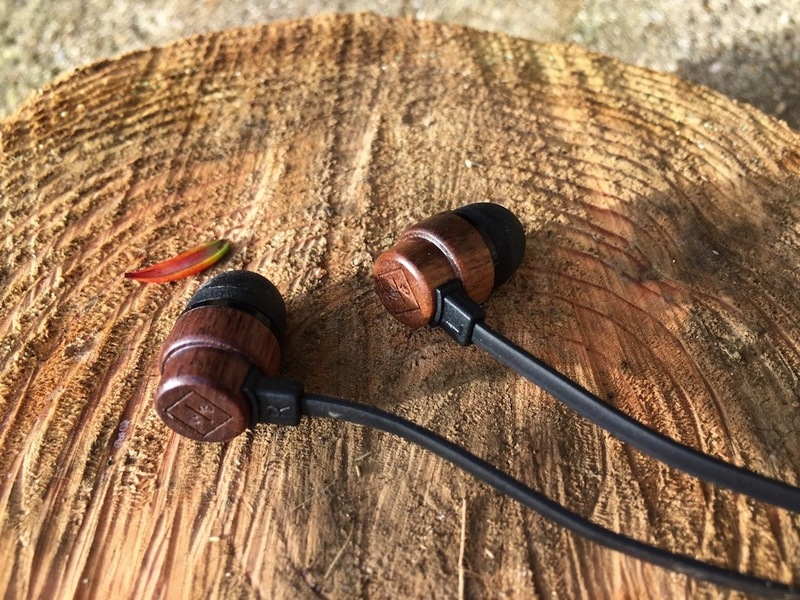 There’s a nice steady understatement about how far their ecological credentials stretch and the fact that their headphones are made from something a little bit more substantial than compressed sawdust, which could come from anywhere let’s face it. WoodBuds are constructed from FSC certified plantation hardwood but the eco-vibe doesn’t stop there. The headphone cable is made from bioplastic and like I said the packaging is an eco-friendly 100% recyclable affair as well. Its good to see that recycled packaging doesn’t have to look like an old cardboard box cut up a that’s going to be finding its way to the tip. Supplied with three in the ear tips to cater for lugs of all sizes, I can say that after a month of real-world usage, many cable snagging moments and more than one occasion where my iPhone would have crashed landed on to an unforgiving tiled floor only to be saved and left dangling in the air by the headphone cable, there’s no problem with the durability or build quality of the WoodBuds. Even with being snagged an unhealthy amount of time there is no sides of the cables becoming loose going into the actual headphones units themselves or working themselves loose. WoodBuds are phenomenally comfortable to a level where I’ve worn them for periods of time that could be considered unhealthy. All of this durability is a little bit of surprise given how they come in at way just 10 g. Granted those white headphones are also the same weight but the comfort levels are worlds apart. These headphones are phenomenally comfortable to a level where I suspect I’m wearing them for periods of time that may be considered unhealthy. You might have noticed the flat headphone cable and that pays dividends as well. During my incredibly unscientific but real-world testing they seem to be less of a mess to untangle after being hurriedly slung in my pockets. They also seem to barely transmit any cable noise from anything rubbing against the cable up into my ear canals. You know how when you’re on a phone call to someone and you can hear that scratching which means something rubbing against the cable, Or have you ever gone running to hear the cable moving around inside the housing? None of those problems exist with the WoodBuds. For the first time in ages whilst doing a three-mile run I can listen to music without having to up the volume to compensate for the scratching or cable movement noise. Being well built, environmentally friendly and incredibly comfortable but counts for nothing nothing if the sound quality isn’t up to par. 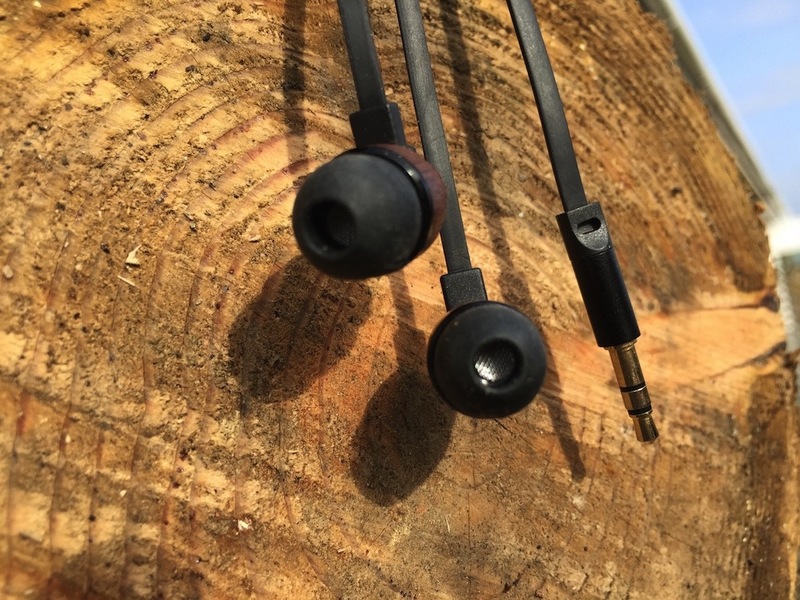 Whilst there is nothing overly remarkable about the same quality of the headphones, there’s no thumping bottom end base nor any shrill top end the instead and nice mellow overall brightness to the sound Which will more than happily satisfied the casual everyday user. Clarity is where the real strength lies in these headphones. Listening to podcasts and audiobooks is definitely a strong point of these headphones. As the sound comes through clearer than the Apple headphones you do start to notice things like the amount of compression used on a podcast but not overly so. Channel separation is handled nicely providing clear and concise stereo channels giving just enough difference between the high, mids and lows without any muddying of sound. If I had to level one criticism it would be that I would have liked just a smidgen more extra base down thats not to say it’s lacking as it coped nicely with the usual selection of tracks I use for testing headphones. Sound leakage is minimal so you won’t stand out like your white earphone wearing commuters and you’ll be able to listen to what you want to at a fairly hefty volume without disturbing fellow commuters. Not having inline remote controls might be a deal breaker for some but if you’re wondering “what’s the point of headphones without controls”? Bear with me. The comfort is a mighty 9.5 out of 10, if you listen to music, podcasts for extended periods of time these are worth it. Even more so if you’re a frequent flyer and know the value of comfort watching movies on your device up in the skies. Your ears are going to thank you for the comfort that these headphones provide as they feel as close to you invisible inside your ear as I would think any headphones could at any price point. 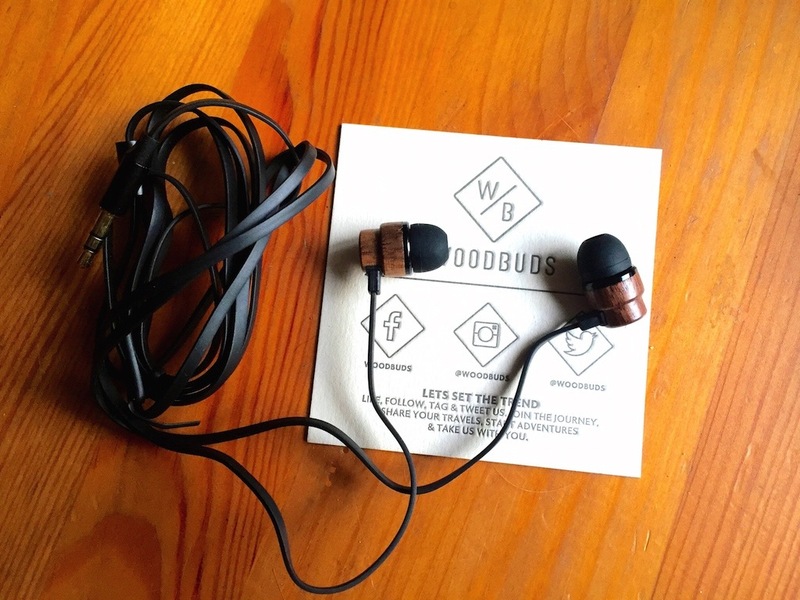 Granted these aren’t going to appeal to the purest audiophiles or those wanting a set of bass thumping monsters but if you want something that’s in good all-round performer with a high level of comfort then the WoodBuds should be high up on your purchasing list..
You can purchase woodbuds from directly from woodbuds.com and come in 5 colours. Hello, perhaps you could tell me how long these headphones lasted you? Thank you for talking about the sound quality and the lack of cable noise. I’ve had these for a couple of months and it’s fair to say I’ve not exactly been “kind” to them. They’ve been running, had more than their fair share of standard cable snagging incidents all with no problems at all. Bought mine from the Woodbuds website in November 2015. Recently stopped working. No response to my contacts made via the website. Not impressed.